Top 10 Fibre Broadband Myths! Despite our modern ability to quickly compare internet prices, many consumers are still hesitant to look into fibre - even though it could save time and money in the long run. We’ve found that a number of myths around fibre have persisted, and often get in the way of people making informed choices on the best internet plan for them. Today, we’ll put ten rumours on blast! Installations are a large part of most people’s hesitation, as they’re perceived to be tedious and time-consuming, potentially leaving you living in a construction zone for months. Installation speed has nothing to do with fibre, and instead everything to do with the unique circumstances of the building where it will be installed. If you’ve ever heard of fibre taking a long time to install, chances are it’s part of a small minority of opinion. The second reason people shy away from fibre installation is that they assume it’ll be expense. We’re happy to report that it’s not! There’s no indication that your average fibre broadband plans include installations that are more expensive than any other type of internet. People also tend to assume fibre is much more expensive to run, but just because the technology is newer doesn’t make it more extravagant than ADSL/VDSL. As the technology is more efficient, it could even cost you less to run! Again, this depends on the site in question. There are a number of ways to approach installation, and it won’t always include digging up your driveway. The technicians sent to examine the site will be able to find the best way to perform the installation, with minimal impact on your property. You’ll be able to discuss your options before committing to anything, but if the cables do go underground, they’ll likely go alongside your existing connection, which will make the job quick and painless. While it will put a few extra steps in the process, there’s nothing stopping you from getting fibre installed in a shared space. Your provider is obligated to let all affected residents know ahead of time, and you may need consent from them before you can start, but most providers offer to make all negotiations themselves. Just because many customers who pursue fibre don’t need a landline anymore, doesn’t mean it’s an impossible request! Fibre landlines exist, and you can talk to your provider about this when you switch. The only difference is that fibre phone lines require power, so your phone won’t work in the case of a power cut. As long as you have a mobile phone too, this shouldn’t be an issue! The age of your house shouldn’t affect its eligibility for fibre at all. All the work that needs to be done can be performed anywhere, provided the basic infrastructure has been laid down in your neighbourhood. If it hasn’t yet, it’s still worth finding out when it will be available to you, as the government continues to help implement fibre across the country. By 2025, roughly 80 to 90 per cent of NZ should have access to fibre broadband. It’s possible it will! Older medical alarms may not, but many do, so it’s worth talking to your doctor. Alternatively, the manufacturer of the alarm should be able to tell you if it will work via fibre. When fibre was first introduced, many people assumed the fibre optic cables would be prone to damage, as they’re made of glass. As time has gone on, this has proven to be false. 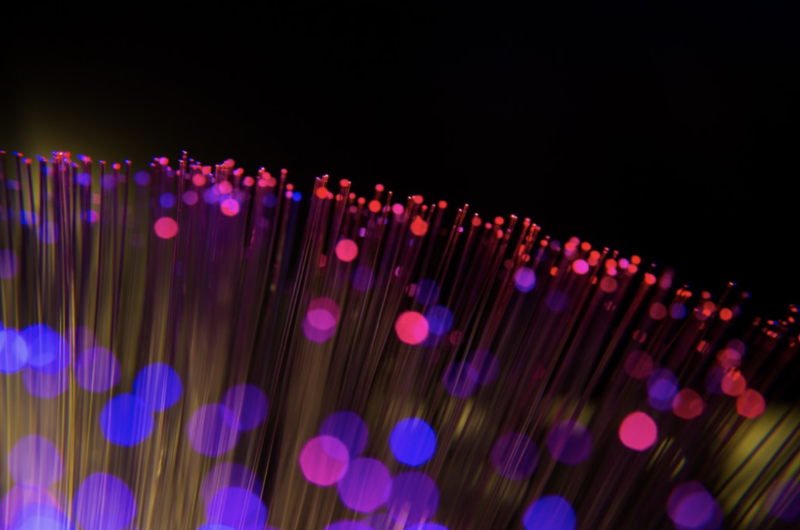 Fibre was first developed as early as the 1970s, and began to see implementation in the ‘80s. Today, these first fibre projects still run fine, proving that the cables last decades. In fact, the glass was specifically chosen to withstand higher tensions, and both dynamic and changing environments, like the arctic, and the bottom of the ocean. Fibre is much safer. Fibre optic cables transmit via light, not the electricity typical of old copper-based cables. This makes them less prone to fire-hazard risks, and produces less interference with other, nearby technology. Once it’s installed and running, you can count on a much more stable internet experience than with ADSL/VDSL. So there you have it! If finding out the truth behind any of these myths has changed your mind on fibre, why not take a moment to use our fibre broadband checker? Find out if switching is the right move for you today!